Facebook confirmed Dark Mode for Messenger last October, and this past weekend, the company allowed some users to unlock the feature with a crescent moon(🌙) emoji. 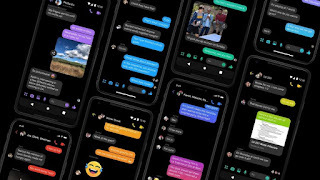 Now, the social media giant has officially announced the arrival of Dark Mode on its messaging app. 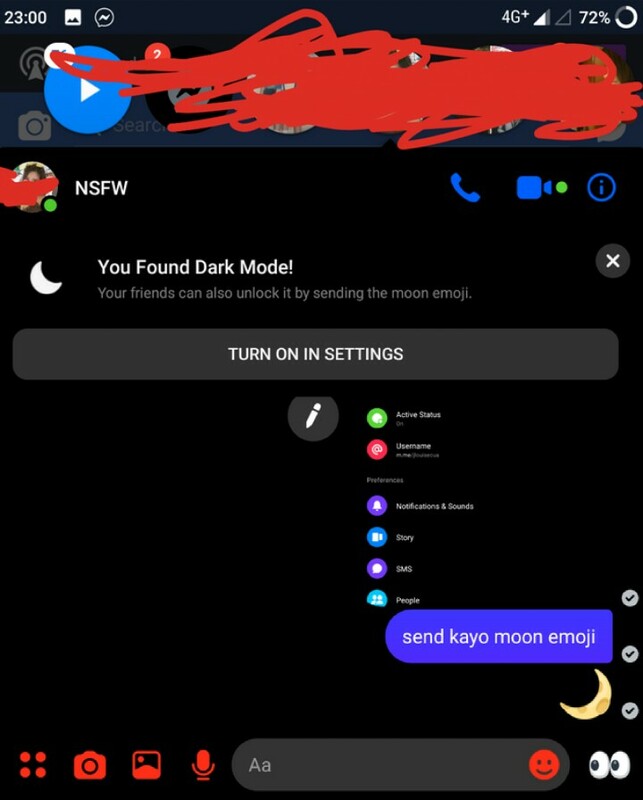 Dark Mode on Messenger can be currently unlocked by sending the crescent moon emoji in a chat. After that, you can head over to the Settings menu to turn it on. However, Facebook has said that this a "limited-time only experience" so you may not be able to activate Dark Mode after some days with a moon emoji. Dark Mode is available for both Android and iOS users, and if it doesn't unlock with a moon emoji, make sure you are using the latest version of the app. Facebook has said that Dark Mode for Messenger will be "fully rolled out in settings in the coming weeks." Samsung is betting a lot on its anniversary Galaxy S series, but the pre-order numbers in its home market South Korea failed to impress. 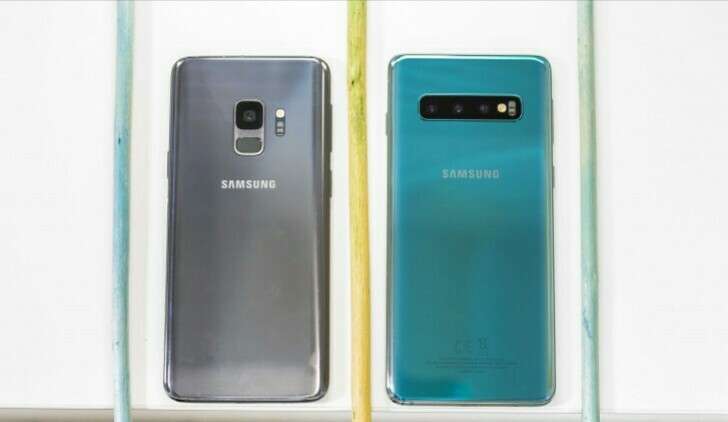 According to The Korea Herald, only 140,000 units of the Galaxy S10, Galaxy S10+, and Galaxy S10e were booked on the first day. Samsung is planning to launch the Galaxy S10 5Gin South Korea later this month, while the Galaxy Fold is expected to arrive mid-May. Industry officials said consumers are currently waiting to see how the whole scene will unfold before deciding to purchase a smartphone. To put the 140,000 units in perspective, last year 180,000 Galaxy S9 phones were reserved in the first day of the pre-order period, while 200,000 Galaxy Note9 phones were pre-ordered in August. 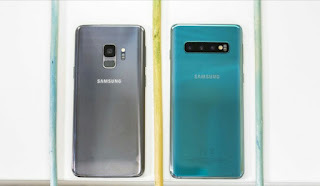 Waiting for a foldable or gigabit smartphone might be one of the reasons for the lack of interest, but an equally plausible one is the higher price tag of the Galaxy S10, compared to its predecessor. 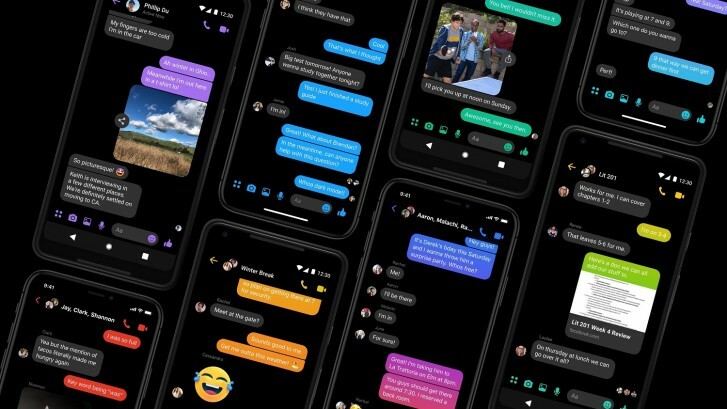 Last October, Facebook said that it would soon roll out Dark Mode for Messenger. But it's been more than four months since then and Facebook still hasn't rolled out this much-awaited feature to its users. Well, even though the social media giant hasn't officially enabled this feature for everyone, there is a workaround that lets you enable it easily. 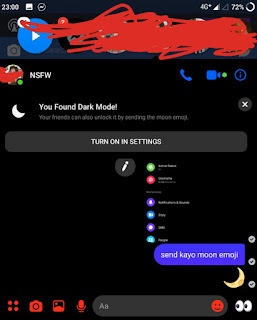 The Dark Mode on Facebook Messenger can be enabled by sending a moon emoji (this one:🌙) in a chat. As soon as you send this emoji, you will see a message pop-up at the top that reads "You Found Dark Mode!". Below that will be a button with "Turn on in Settings" written on it. Tapping on that button will take you to the Settings menu of Facebook Messenger. There you will see a new option called "Dark Mode". It will have a toggle button right next to it, tapping on which will turn on the Dark Mode. Once you turn on the Dark Mode, Facebook will display a message saying it's still working on this feature so you won't see Dark Mode everywhere in Messenger. It may also appear broken at some places. It's currently unclear if this method works in all countries and platforms, but Redditors from the Philippines, Portugal, Czech Republic, Saudi Arabia, and Indonesia report that it worked for them. It also worked on our Android smartphones in India and over at headquarters, both on Android and iOS, so it's safe to say it's widespread and will be coming officially sooner rather than later. If you happen to live in a country other than the ones mentioned above, and if this method works on your Android or iOS device, let us know in the comments section below. 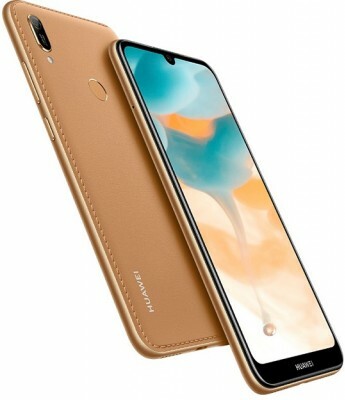 Last month, Huawei announced an entry-level smartphone called Huawei Y6 Pro 2019. 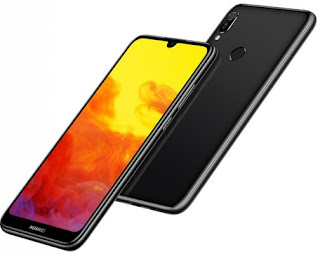 Now the company has announced a non-Pro variant of that smartphone dubbed Huawei Y6 2019. 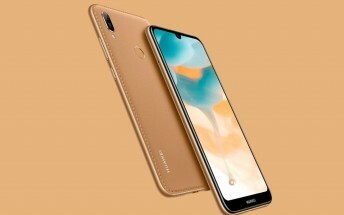 The Huawei Y6 2019 is actually the Y6 Pro 2019, but it differs from the Pro variant in terms of RAM amount and the availability of fingerprint scanner. The Y6 Pro 2019 comes with 3 GB RAM and doesn't have a fingerprint scanner, whereas the Y6 2019 comes with 2 GB RAM and it does sport a fingerprint scanner at the back. Apart from these differences, everything else remains the same across both these smartphones. The Y6 2019 is powered by the Helio A22 SoC and boots up to Android Pie-based EMUI 9. The smartphone has 32 GB of onboard storage but you do have the option to further expand it by up to 512 GB via microSD card. The smartphone has a 6.09-inch HD+ display on the front. It comes with TÜV Rheinland certification and blocks blue light which could be harmful to the eyes. For photography, the Y6 2019 has a 13 MP camera at the back and an 8 MP camera on the front. It ships with a 3,020mAh battery and is offered in three colors - Midnight Black, Sapphire Blue, and Amber Brown. The Amber Brown variant looks more stylish as it comes with a faux leather design. Pricing and availability details of the Y6 2019 are currently unknown. The Apple CEO also mentioned plans to lower the price of the $1,2000 MacBook Air with retina display, as Bloomberg puts it – ‘eventually’. 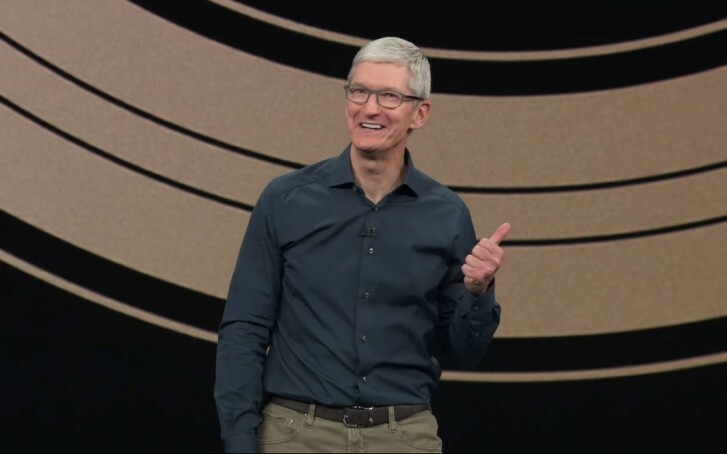 Meanwhile, Cook said the company was on track to doubling its services revenue by 2020 to $50 billion. Apple is rumored to be holding a March 25 event focused on services where it may announce a News subscription and possibly a Netflix-competitor service for streaming movies and original TV shows. As expected, shortly after the launch of the new Galaxy S10, durability tests started to pop up on YouTube. JerryRigEverything is one of the first channels to do it in its own unique way. And the video had some interesting findings. For instance, the watertight seals are now purple. Okay, maybe not that exciting but perhaps you'd be interested in the under-display fingerprint reader and how it holds up when the screen is damaged. Since the ultrasonic fingerprint scanner works in a different way compared to the optic ones, one would expect that it wouldn't be bothered by the scratches. It fires up high-frequency sound waves that bounce off your fingertip grooves instead of taking a "photo" of your fingertip like optic scanners do. And this is how it played out in the first scratch test - the fingerprint reader worked flawlessly. However, with deeper grooves or even cracks, the ultrasonic fingerprint reader refused to work. Whereas the optic sensors appear to be more reliable in this scenario. You might have to re-train it so it will take into account the scratches/cracks on the screen. We are still in the beginning of the in-display fingerprint tech development so we would have to wait a little bit longer and see which technology will prevail in the end - optic or ultrasonic.